Greta West Stud owners Laurie and John McCarthy operate a thriving agistment business apart from standing three stallions and its paddocks have been the launching pad for recent Group 1 winners The Quarterback and Le Romain. The Quarterback’s victory in the G1 Newmarket Hcp was a feel-good result for trainer Robbie Griffiths. “He spelled here for four months last winter,” Laurie McCarthy recalled. Greta West lies in a catchment area renowned for steady rainfall in the north-east of Victoria. It’s a relaxed environment and horses thrive in the spacious, fertile paddocks. NSW owner-breeders Mark and Tony Carusi board their mares with the McCarthy brothers and among them is Mignard, the dam of Le Romain, who graduated to a Group 1 victory in the Randwick Guineas on March 5. 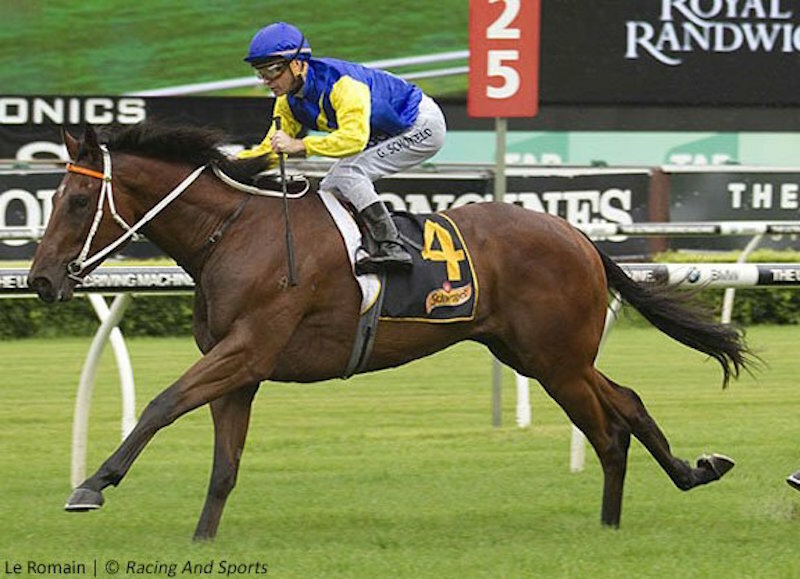 “Le Romain (by Darley Victoria’s former shuttler Hard Spun) was born and raised here,” McCarthy said. “He went across to Tal Nolen at Benalla to be educated and then came back home before going up to Kris Lees.